Here, you can get budget-friendly translations of any requested text into 70 different languages. All of our translators are native speakers. Please select how to send us the text you request to be translated. Please copy the text to be translated into the box below. Select the language you request your text to be translated in. And many more besides! Your specialist text will be handled selectively by translators in our team who have the expertise required in the particular subject area. All our translators are native speakers. Translate your website, manuals, product specifications today into the language of your future clients. 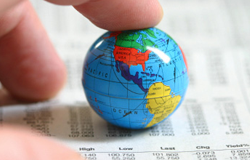 Translation service for 70 different languages – get your price estimate now!